Earfold ® is a thin, curved, metal implant made of nitinol, a lightweight super-elastic alloy of titanium and nickel widely used in medicine. Earfold ® is just 5mm wide, 15mm long and is coated with 24-carat gold, to reduce visibility under your skin. Earfold® is a minimally invasive implant that lets you have a short recovery compared to otoplasty, with no bandages. But also allows you to choose the position of your ears before treatment. Because of the local anaesthetic your ears may feel numb for up to two hours. You may also feel some pain after the procedure, requiring only simple analgesia, which should fade within a couple of days. There may be some swelling or bruising for up to 6 weeks after the procedure. Your ears may feel a little sensitive, your doctor can advise you about this, it's fine to wash your hair or shower, just be gentle. Since the incision for the Earfold® procedure is very small, the resulting scar is also very small, and should be unnoticeable after a few months. Earfold ® has successfully treated prominent ears in adults and children aged seven or above. And since Earfold ® lets you choose the position of your ears BEFORE treatment, you decide how your ears will look. Earfold® lets you choose the position of your ears before treatment. 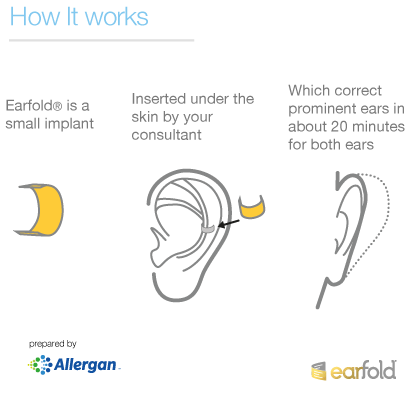 Earfold ® is made by Allergan, a global health care company that pioneered the development of medical aesthetic treatments over 35 years ago. Short recovery - no bandages so you can return to work as soon as you feel comfortable. You can choose the position of your ears BEFORE treatment. Fast treatment - the procedure typically takes about 20 minutes for both ears. The procedure is carried out under local anaesthetic. 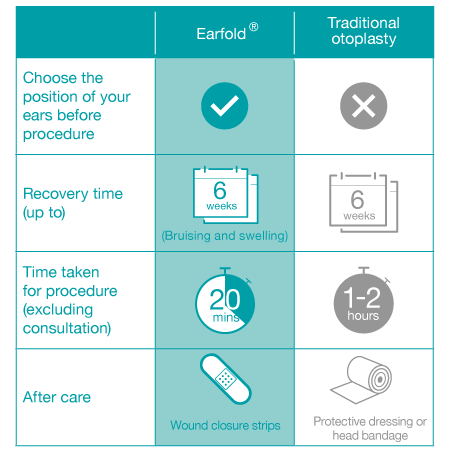 How Earfold® compares to traditional surgery. Prominent ears affect around 1-2% of the UK population, and can negatively impact people's lives. Children in particular may suffer due to being teased, but adults also feel unhappy with how their ears look, which can reduce self-confidence. 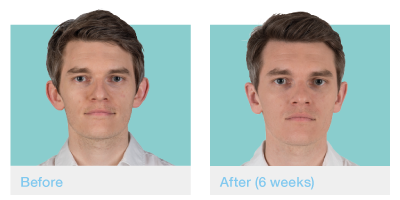 Earfold ® has been specifically designed to treat both adults and children aged seven or above with prominent ears, and aims to help you get your self-confidence back. Unlike traditional otoplasty, Earfold® lets you choose how your ears will look before treatment. 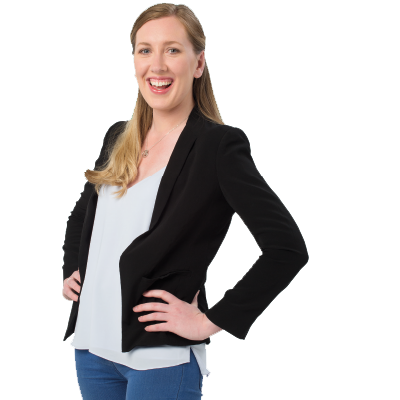 During your initial consultation, you and your consultant will discuss how you would like your ears to look. Then they will change the position of your ears by using 1 or 2 temporary positioners per ear. If you have any concerns, don't hesitate, call your consultant who carried out the procedure immediately.